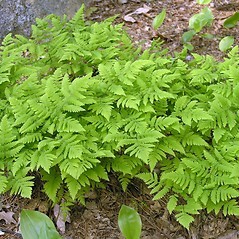 Northern oak fern produces new fronds all summer long. 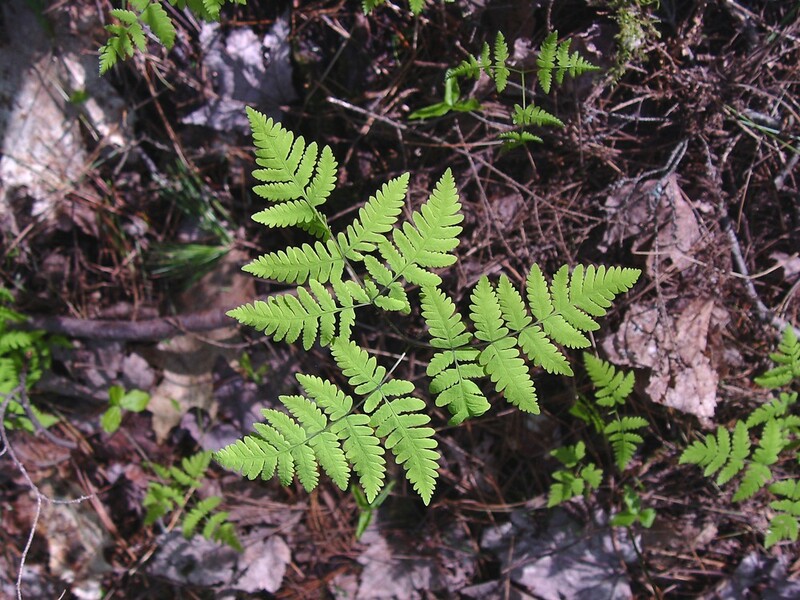 The Cree Indians crushed oak fern leaves to repel mosquitoes and to treat bites. 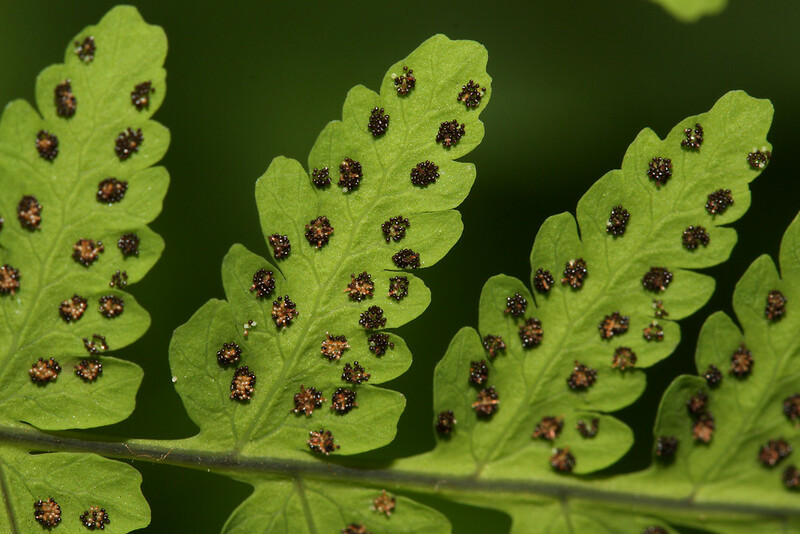 leaf stipitate-glandular on petiole, rachis, and abaxial blade surface, and basal leaflets and basiscopic leafules curving toward apex of plant (vs. G. dryopteris, with the leaf essentially glabrous, and basal leaflets and basiscopic leafules spreading, not curving toward plant apex). 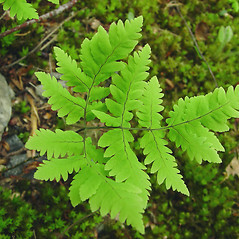 northern oak fern. 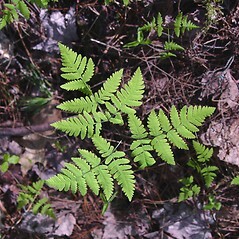 Carpogymnia dryopteris (L.) A. 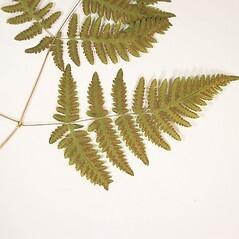 & D. Löve; Dryopteris dryopteris (L.) Britt. 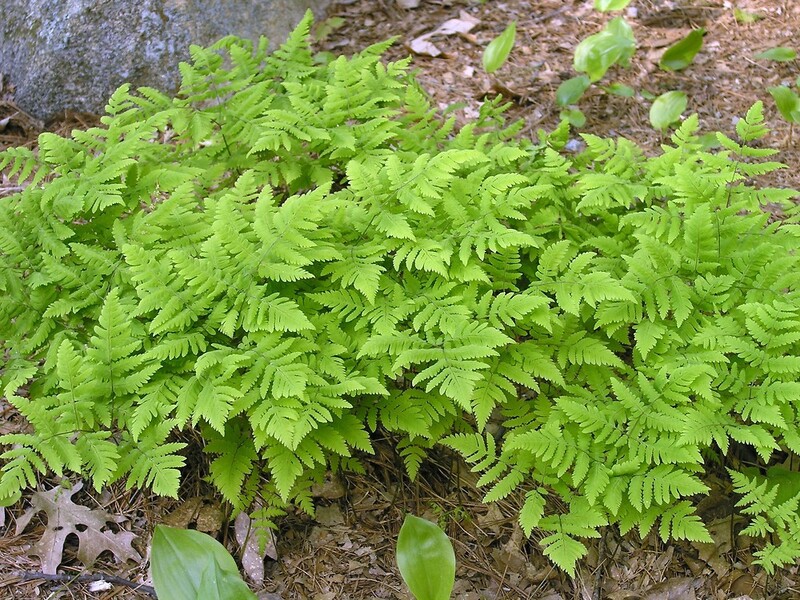 ; Polypodium dryopteris L. • CT, MA, ME, NH, RI, VT. Forests, base of cliffs, talus slopes. 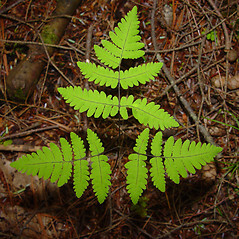 1×G. 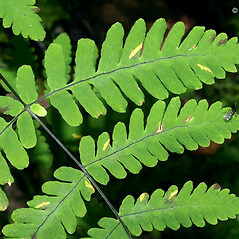 disjunctum (Rupr.) Ching. 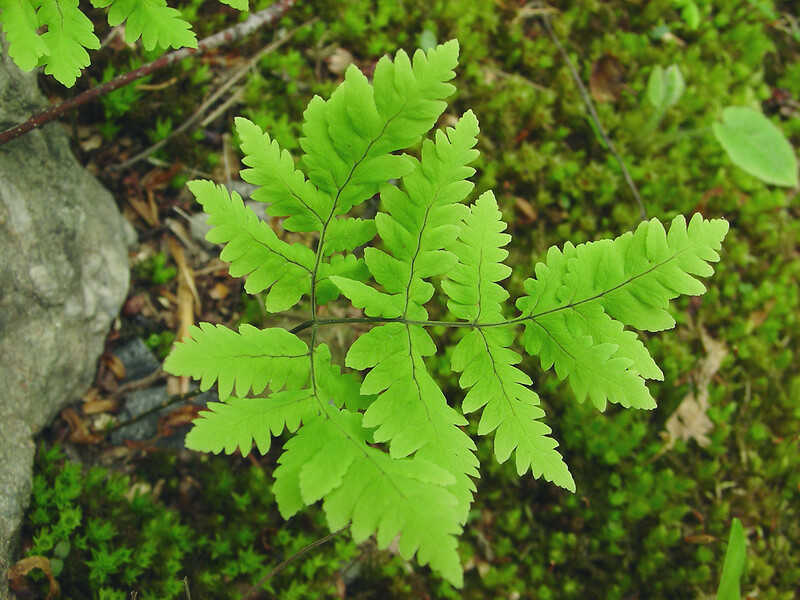 Gymnocarpium ×‌brittonianum (Sarvela) Pryer & Haufler is a rare oak fern hybrid known from CT, MA, ME, NH, VT. Morphologically it most closely resembles G. disjunctum, with the first pair of leafules of the second pair of leaflets markedly unequal in length (the basiscopic leafules much longer than the acroscopic leafules; those of G. dryopteris are usually ± equal or the basiscopic leafules slightly longer). 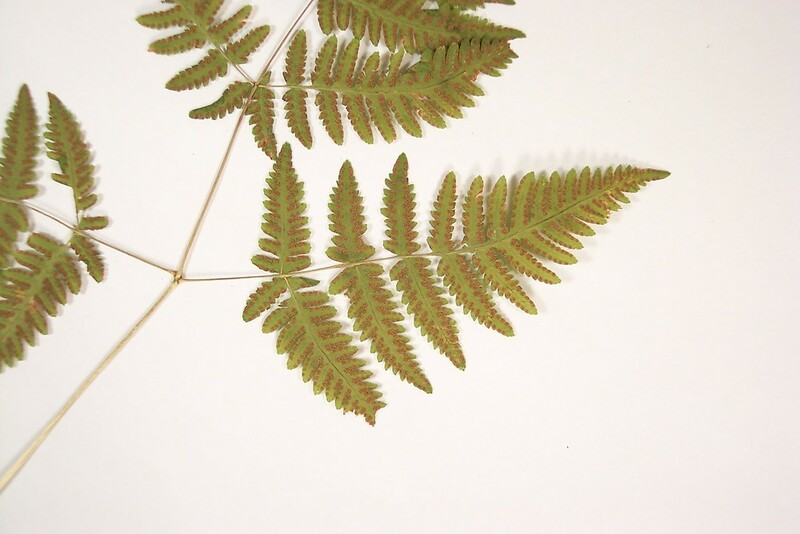 Spore morphology is an important character for diagnosing this hybrid. 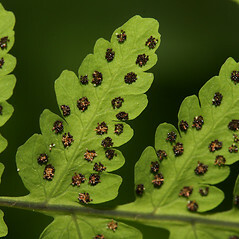 Both round and abortive spores are present. 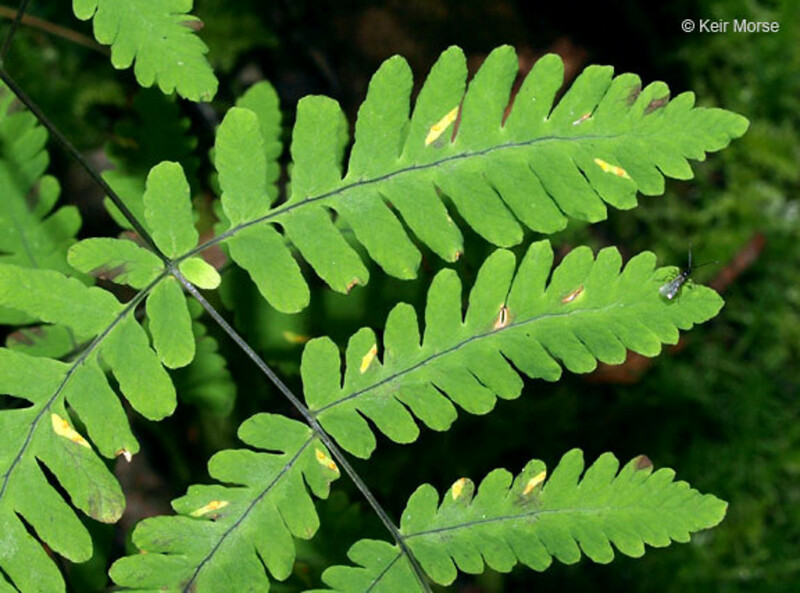 Distribution of this nothospecies is based on Pryer and Haufler (1993). 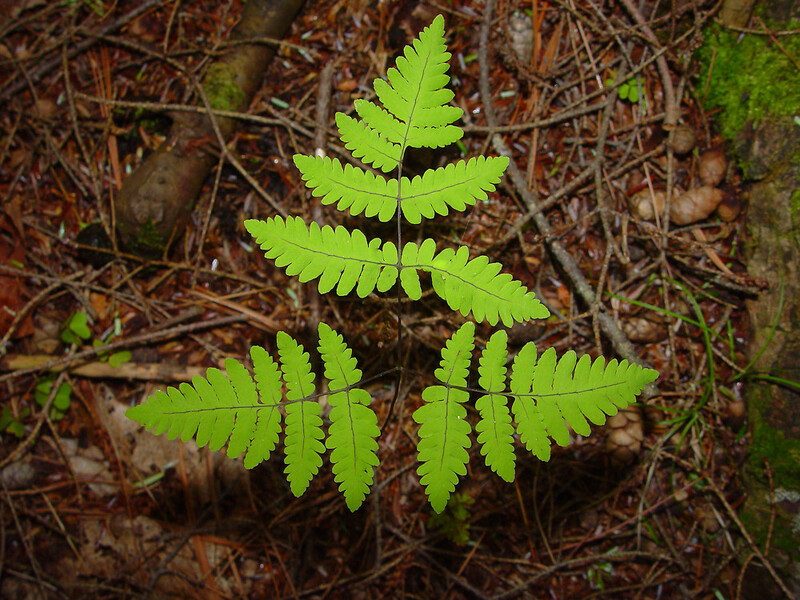 Given that G. disjunctum is restricted to northwestern North America, it is plausible that plants seen with dimorphic spores are the result of a different hybrid combination or a separate phenomenon altogether.